The San Diego Chargers and San Francisco 49ers are both fighting for their playoff lives with only three games remaining in the regular season. Both teams are only one game out of first place in their respective divisions, but at this time of the season every game truly does count. The team that loses this game will be that much closer to ending their season earlier than expected before the season started. Both the Chargers (7-6) and 49ers (5-8) were favored to win their respective divisions in many pre-season predictions. They have had similar seasons, as both started slowly, but seem to be gaining some momentum down the stretch. The four-time AFC West champion Chargers started the season 2-2, then lost three games in a row. Their 2-5 record was mainly due to them giving up big plays such as; 101 and 99 yard kickoff returns to Seattle (lost by 7); a 94 yard punt return by Kansas City (lost by 7), a blocked punt for a TD, 5 turnovers, and a 64 yard fumble return by Oakland (lost by 8); an interception in the endzone and a blocked field goal by the Rams (lost by 3); and a 63 yard fumble recovery, 4 turnovers, and a missed field goal that hit the goal post against New England (lost by 3). Since then, the Chargers are 5-1, and just finished beating the division leading Kansas City Chiefs last week 31-0. 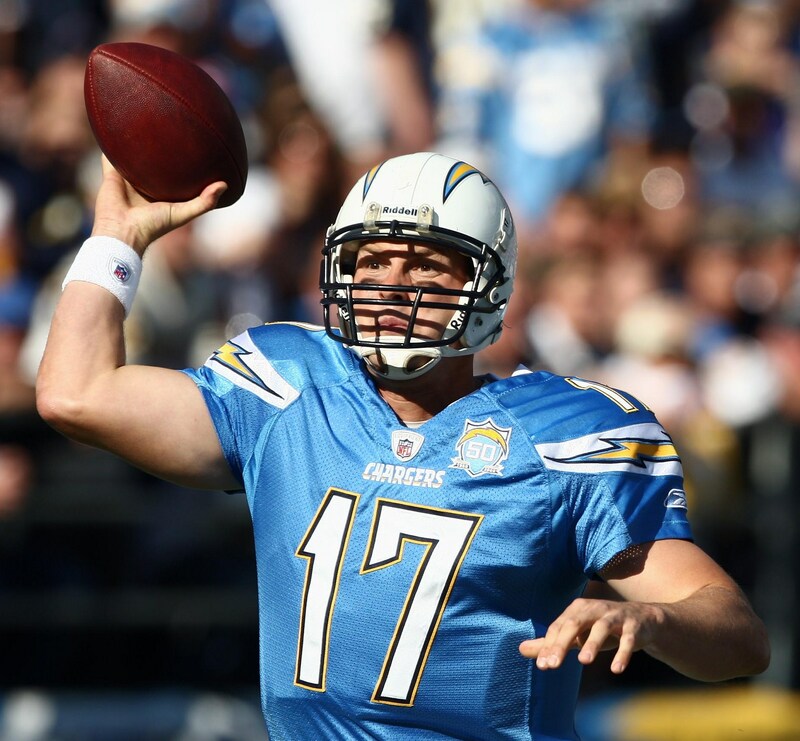 Philip Rivers has a chance to throw for over 4,000 yards for the third straight season, even though Tight End Antonio Gates may be unable to play in this game. The final two games for San Diego will be away games against the Bengals and Broncos. The Bengals are 2-11 and have lost ten straight games. Terrell Owens is blaming everyone else for their losses, and I feel the team has given up on the season a long time ago. The Broncos just lost their head coach last week, and are not much better at 3-10. They have lost four games in a row, and look like they are in a state of confusion right now. The Chiefs final games are against the Rams, Titans, and division rival Raiders. Quarterback Matt Cassel was unable to play last week against San Diego, having an emergency appendectomy. The Chiefs are not sure how much longer Cassel will be out, as he may miss at least one more game. This could have a huge impact on their chances to win their division. The Raiders, at 6-7 still have an outside chance to win the division and make the playoffs as well. Their remaining games are against Denver, Indianapolis, and Kansas City. The 49ers started off their season 0-5, and people were saying that coach Singletary’s job may be in jeopardy. Three of those losses were by 3 points or less. Since then, the 49ers are 5-3 with another loss suffered by 3 points. They most recently beat the NFC West division leading Seattle Seahawks 40-21, but are also one game behind the St. Louis Rams. The final two games for the 49ers are a game at St. Louis, and a home game against the Cardinals. Seattle plays Atlanta, Tampa Bay, and St. Louis, while the Rams play Kansas City, San Francisco, and the Rams. This division is completely up for grabs still, as even the Cardinals at 4-9 are still not entirely out of the playoff picture. 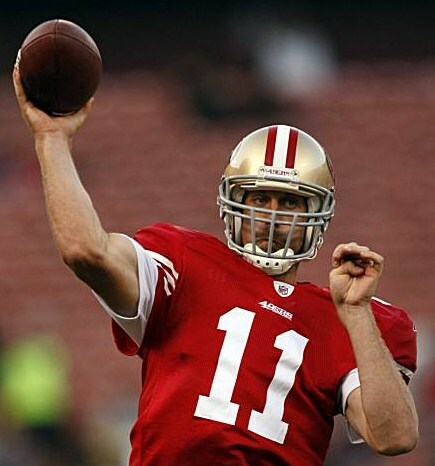 Quarterback Alex Smith came back into his starting roll against Seattle last week after being out for the last five games with an injured shoulder, and had his best game of the season. Running back Brian Westbrook played an integral part in the 49ers recent wins over Arizona and Seattle, coming in for injured Frank Gore. Gore suffered a season ending fractured hip injury three weeks ago. Smith and Westbrook will need to continue to play well if the 49ers plan on winning their first division title since 2002, and extending their season. On paper, this game looks like a no-brainer for the Chargers to win. They are ranked number two in passing yards (286.2) and total yards, and third in total points per game (27.2). Their defense is first in fewest yards allowed and fewest passing yards allowed per game, and fourth in fewest rushing yards allowed per game. The 49ers are 23rd in yards per game and 27th in average points per game (18.7). Their defense is ranked 20th in passing yards allowed per game (227.3). San Diego also has the home field advantage playing at Qualcomm Stadium, and has won the last two meetings against San Francisco. Even though both teams are coming off of victories over their division leaders last week, this game could mark the end of the season for one of them. ~ by Troy Erickson Realtor on December 16, 2010.